Apart from western style chocolate bunnies and candy eggs, Easter has an array of top rated main dishes to favorite side. Make your dining table elegant and sophisticated with our exclusive recipes. A pancake made with fermented rice batter and coconut milk, Appam is soft lacy hoppers mostly served with Chicken Stew for breakfast. 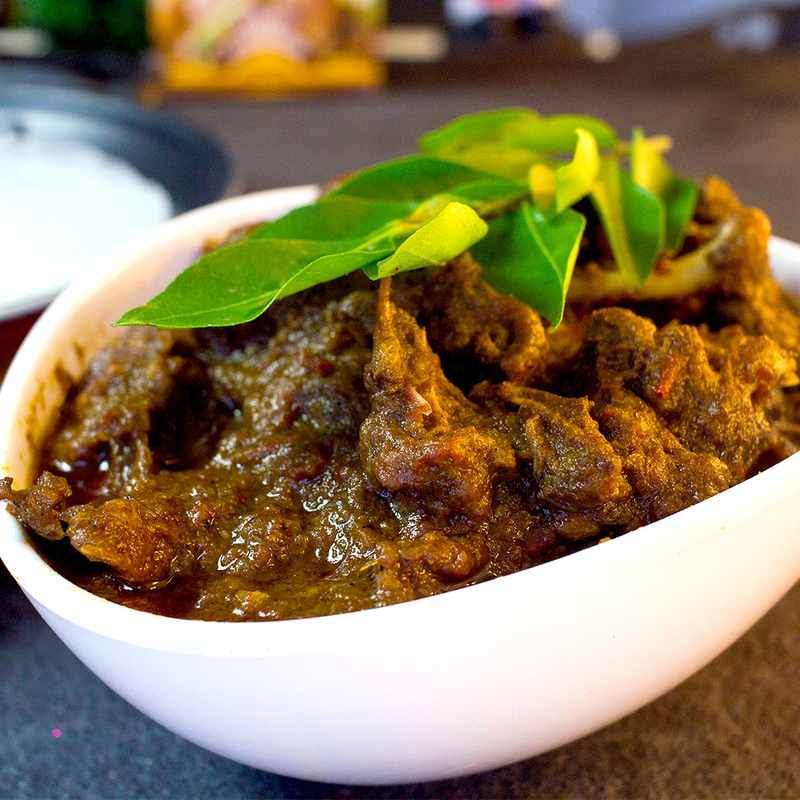 Light spiced and aromatic Chicken Stew with Appam is essential to kick start your day with. 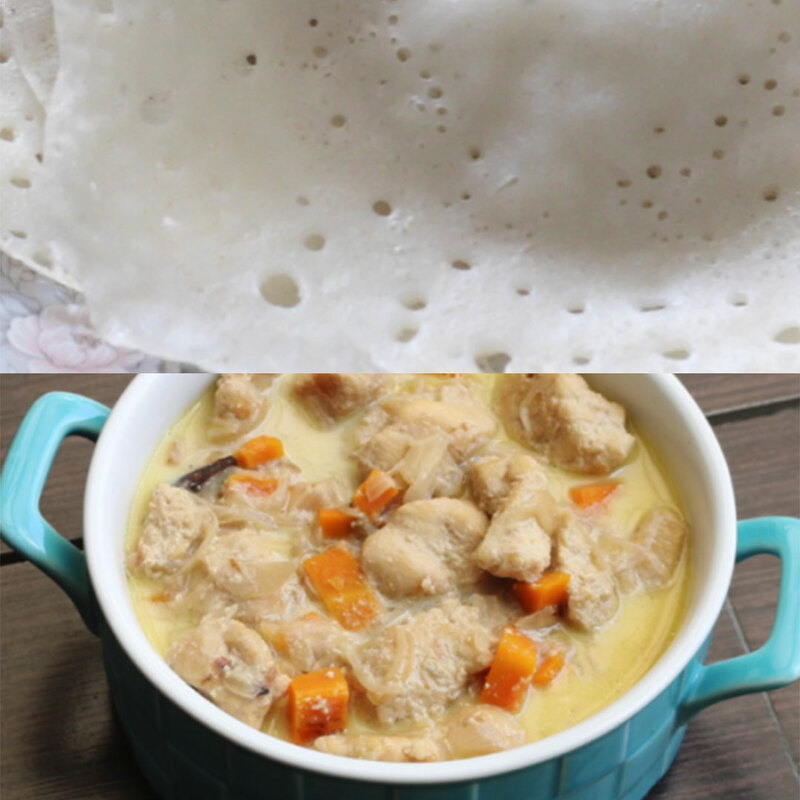 Here’s an exclusive recipe of Appam and Chicken Stew. Mix Appam podi with Water. Coconut Shread, Small onion and Cumin powder in Mixer and Mix with the appam podi and water. Add Salt and yeast to mix. Mix batter well and keep it for fragmentation overnight. Add batter and spread it out. Place the lid and let the appam cook under its own steam. Once the appam is cooked, it is ready to be removed with a non-stick spatula. Add some oil for frying. Add in Sliced Onions 1 1/2 cups. Mix the Marinated chicken with Gravy. Add in Spices like Cloves, Cinnamon Sticks, Fennel seeds to it. Mix Coconut Milk 1 1/2 cups to the mix. A super delicious food, Idiyappam is popular among Indian Cuisines. 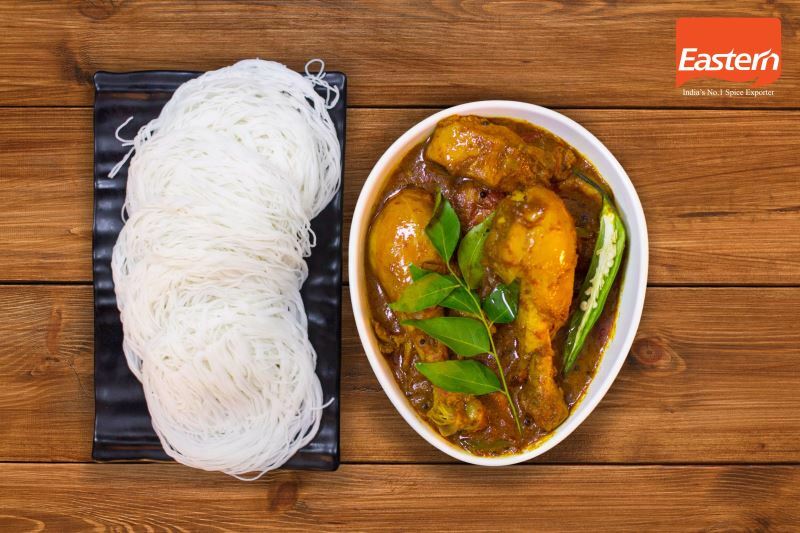 Idiyappam with chicken curry is a perfect amalgamation of Indian spices that trigger your taste buds. Dip and slurp your way through this combination. Here’s an exclusive recipe of Chicken Curry. Mix Eastern Idiyappam podi with salt. Pour boiling water into it and mix well with a spoon or wooden spatula till all the powder is mixed well and the dough is well molded. Check the heat and mix well with your hands and make a smooth dough. Make small balls and fill the Idiyappam presser and press the dough through the presser into steamer plates or banana leaves. Fill with scraped coconut and cover again with the dough through the presser. Put in the steamer for 10 minutes. Marinate chicken pieces in eastern Chicken Masala and salt. Grind ingredients 4, 5 and 6 into a fine paste and set aside. Heat oil in a vessel, crackle mustard and fry the onion. Add the paste and stir well. Add chicken, three cups of water and cook till done. Add curry leaves and serve hot. Chemba Puttu with well spiced Kuttanadan Duck Roast is the best combo to impress anyone! Juicy duck meat would be lonely without some soft and melting puttu on the other side. This timeless pairing is clearly the best. Mix puttu podi with salt and water. Layer this in the puttumaker with coconut scrapings. Chemba Puttu with Jackfruit365​ Green Jackfruit Flour. Grind shallots, chopped ginger garlic and 3 tbsp of Eastern duck roast masala into a fine paste. Marinate the cleaned duck pieces with half of the ground paste and keep it aside for 1 hour. Heat oil in a pan and shallow fry marinated duck pieces till it turns a golden brown color. Keep it aside, in the same oil add the finely sliced onions and cook. When the onions become golden brown color add tomato, green chili and the remaining half of the masala. Fry it till oil starts to separate at the sides. Add 2 cups of boiling water to this and combine well. Transfer the fried duck pieces and onion gravy to a pressure cooker. Cook till the duck is done. Once the pressure is gone, open the cooker & cook till the gravy thickens. Cook till the water is almost dried and each piece is thickly coated with the masala. Transfer the duck pieces to a serving dish and garnish with fried onions, potatoes & curry leaves.